One Day. One Senior Community. Five Activities. Thousands of Dollars for Alzheimers Disease. A day filled with grab ën go breakfasts and full coffee bar, a golf putting contest, a movie-a-thon, a walk-a-thon, and jazz in the courtyard, could easily be described as The Longest Day in terms of activity. But, for The Heritage at Sterling Ridge retirement community, The Longest Day refers to a team event on June 20th to raise funds and awareness for the possible cure of Alzheimers Disease. Held annually on the summer solstice, the duration of this sunrise-to-sunset event symbolizes the challenging journey of those living with the disease and their caregivers. The Heritage at Sterling Ridge will create their own experience as they fundraise and engage in activity all day long, in an effort to honor both past and present residents who are struggling with dementia. With a suggested donation of anywhere from $1 to $10 per activity, The Heritage at Sterling Ridge aims to donate thousands of dollars from this event alone. 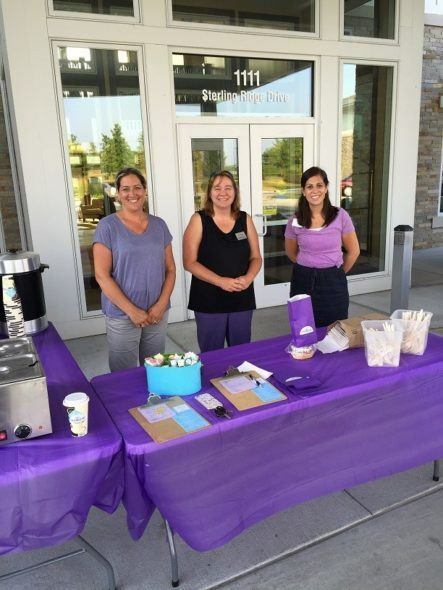 Throughout the year, the senior living community hosts several fundraising efforts for the Alzheimers Association. Together with Heritage Communities, they raised over $18,000 for the cause in 2015. The companies goal is to exceed $20,000 in 2016. Because we serve residents who have Alzheimers Disease, or another form of dementia, in our memory support community, we see the impact the disease has on the person as well as their loved ones states Tracy Lichti, Executive Director at The Heritage at Sterling Ridge. Our core values at Heritage Communities are Compassion, Respect, Trust and Fun. The reason why we choose to give back, and how we choose to do it, are a direct reflection of our beliefs and values said Mrs. Lichti. Currently, there are 47 Million people living with a form of dementia, and that number is set to skyrocket to 75 million by 2030. In an effort to raise awareness and funds that will go towards finding a cure, The Longest Day was created.Currently, there are 47 Million people living with a form of dementia, and that number is set to skyrocket to 75 million by 2030. In an effort to raise awareness and funds that will go towards finding a cure, The Longest Day was created.